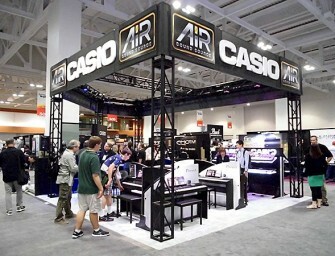 The Casio booth at Summer NAMM 2014 held in Nashville (from July 17 to 19) presented a diverse line-up of electronic musical instruments, including digital keyboards and synthesizers, as well as the..
Casio will release two new models in its Privia series of digital pianos to commemorate the 10th anniversary, on October 24, 2013, of the launch of its first Privia model. 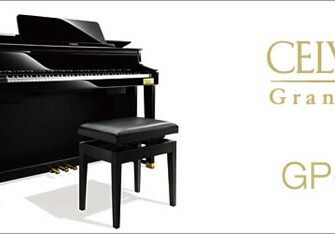 The new..
Casio announced today unveiled the Privia PRO PX-5S, a stage piano specially designed to give musicians more expressivity in live performances. 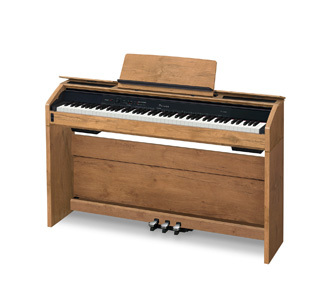 The new Casio Privia PRO PX-5S stage piano features 340 preset..